Spain is an extremely versatile country to spend a holiday. From its sleepy villages, where the traditional siesta takes place to the delicious local food produce, there is everything you could possibly want from a holiday there. Or maybe you'd prefer a livelier affair, Spain's modern cities offering international standard hotels, designer shopping and trendy restaurants, nightclubs and bars. One of the most popular attractions to Spain is their constant scorching weather and miles of clean beaches. 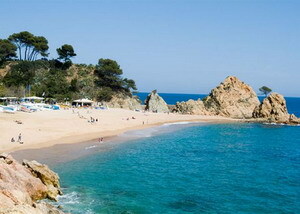 Take Costa Brava for instance, its sands perfect along with their cosy coves. Fuerteventura also offers mile upon mile of clean coastline. You can choose from a lively resort (usually the younger crowd) with cocktail bars, or a peaceful strip of coastline in a rented villa, Spain has all bases covered. Malaga in the Costa del Sol is a massive tourist destination that welcomes millions of people each year to soak up the Spanish sun. The Costa del Sol literally miens the Spanish Sun. 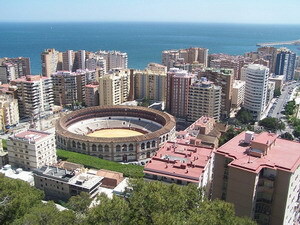 The City of Malaga is a bustling metropolis of shops, bars, and restaurants and is just busting with life. A great choice if you enjoy living life to the full, you will love the Spanish way of life and attitude. The Spanish start late when it comes to nightlife, the partying not over until the sun breaks the horizon. Flamenco is another form of Spanish entertainment. Over 200 years old, it blends song, dance and guitar into passionate and romantic rhythms. Whether its flamenco shows or banging nightclubs, Spain entertains all round. 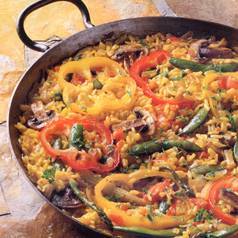 Paella is Spain's National dish, one meal you MUST try, and another traditional cuisine is Tapas, picking and choosing between small dishes of seafood, squid, meat, vegetables and potatoes. Spain also produces some very fine wines, using vineyards from all regions, the La Rioja their most famous. Sherry is also made in Spain, a good reason to get merry in Jerez where it originates. Spain is home to some world renowned cities if the busy hustle bustle experience is your thing. Capital city Madrid is great from shopping, fine dining, or a night on the tiles. Any football fans will want to visit Real Madrid's or Barcelona's grounds and perhaps even watch them play at home. Festivals are common place throughout the whole of Spain, but bull-fighting, the bull-run (an event that involves a group of people running from bulls down a street), and the famous tomato fight, where a whole town has the worlds biggest food fight with tons of tomatoes. Whatever the occasion, Spain has something that will surprise and delight.